Zum Betrachten dieser Seite muß Java-scripting aktiviert sein! For browsing this site java scripting must be active! 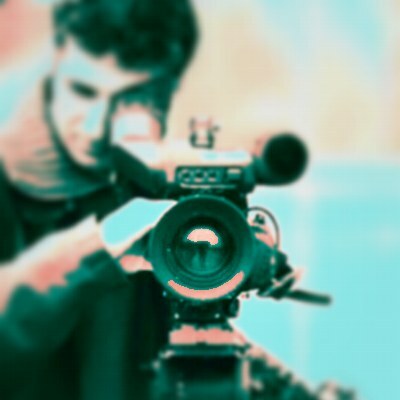 Modern video production is first a matter of technique and further depends on the skill and know-how of those who operate the cameras, sound & lighting, and deal with the complex software of cutting and authoring. In terms of video-cameras, »Creativecell Media« relies on Sony (HVR-Z1E) und Panasonic (AJ-HVX200-P2) branded equipment, allowing to support any recording format from PAL-DV (576p/i) up to DVCPRO-HD. The footage will be processed afterwards in digital formats (AVI or MPEG2), depending on the purpose and use of the movie. We can offer all current export formats: PAL DV 576i, HDV 720p & 1080i and Broadcast HDTV 720p & 1080i. The software for digital cutting and DVD authoring is supplied by Sonic, Magix and Adobe. As a matter of course, it supports chroma keying (blue- and greenbox effects - though for the bluebox shooting a specialised studio needs to be rented). Last but not least, the complete soundtrack is part of the service, best with music and voice-over by »Hasba Calling Sound System«...! After the movie has been finished, it will be stored either on a DVD or USB stick, or if required on a BluRay disc. The data on DVD will be packed into the MPEG2 file format, including title- and DVD-menu and up to eight sound tracks. The maximum play time is some 120 minutes. The BlueRay disc will be the choice when broadcast quality is required in MOV format MPEG4/H264 and the data volume of the movie exceeds the storage capacity of 16 GB. On request the storage in DigiBeta format is available. Unlike music production, it is not possible to set a general fee schedule, since costs and expenses depend solely on the subject and the definition of the project. But let us ensure you that »Creativecell Media« will submit a fair and favorable quote.